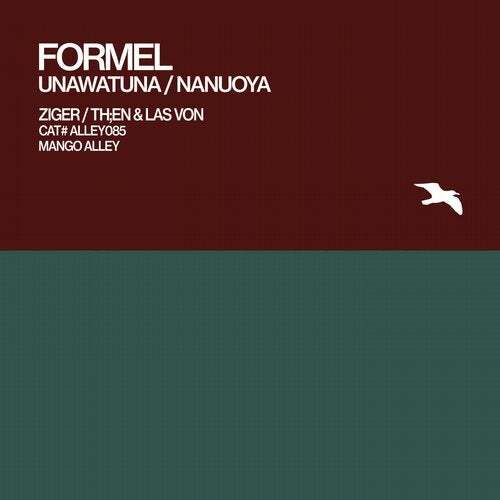 Diverse sonic landscapes emerge as Sri Lankan inspiration sees Formel reach the highlands in "Unawatuna". Intricate rhythmic arrays weave a cadenced pattern of beauty in forest fauna rainfall. Matched by the heights of "Nanuoya" white noise frames a swirling vortex above jungle canopy. Glorious aural technicolour hints at beauty below; vocal intonation provides sublime texture. Where the Aegean opens out, ancient Thessaloniki witnesses the epitome of modern. Ziger creates a new sonic formation for "Unawatuna". Nature's pulse beats a metronomic rhythm of dark intensity that quivers with delay-drenched chords that reaches a storming crescendo. German talent meets Canadian flair across frictionless borders where Th;en and Las Von travel across "Nanuoya". Flowing languorously downstream, motifs lap against shores creating patterns of rhythmic complexity that overlap in white-noise while low-end frequencies rumble beneath the surface.